Why would you hide your friend list in facebook ? Simple to protect your friends from spammers that could get their details and gain from them thru black hat methods, So here is a simple instruction on how to hide your friend list in facebook. Search for me on Facebook – This lets friends find you on Facebook. If you’re visible to fewer people, it may prevent you from connecting with your real world friends. Send me friend requests – This lets real world friends send you friend requests. If not set to everyone, it could prevent you from connecting with your friends. Send me messages – This lets friends you haven’t connected with yet send you a message before adding you as a friend. See my friend list – This helps real world friends identify you by friends you have in common. Your friend list is always available to applications and your connections to friends may be visible elsewhere. See my education and work – This helps classmates and coworkers find you. See my current city and hometown – This helps friends you grew up with and friends near you confirm it’s really you. See my interests and other Pages – This lets you connect with people with common interests based on things you like on and off Facebook. 4. You can set your “ See my Friend List “ to “ Only Me “ by pressing Custom settings.To protect your friends facebook you could also set your friend list visible only to you by pressing the button on the right side and choosing custom. Usually spammers can get your friends by seeing your friend list. 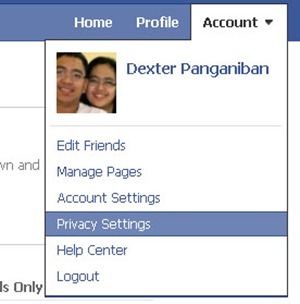 this are the options where you can change your visibility in facebook. 5. 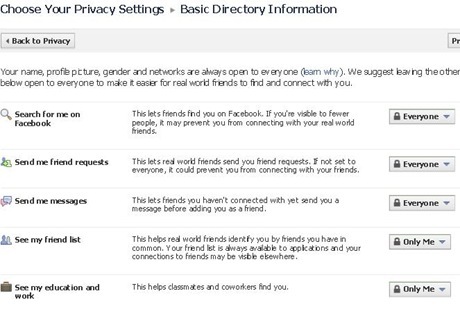 As an added security measures you can set your “Sharing on Facebook” to Friends Only. so that your pictures and Wall Updates cannot be seen by unauthorized people to view your account. We will post some more security tips for facebook in future. but the above mentioned tips will help you not to disclose information to those unwanted internet spammers. Social Media is great to network to others but it is also the fastest way to get information for any person if it is not properly guarded. It is not bad to socialized but be very careful.